← Carlo Lio & Nathan Barato’s Rawthentic drops a collaboration between Celesta Recordings head AJ Christou and Desolat’s Caleb Calloway titled ‘Sweet Senses EP’ featuring a Stacey Pullen remix. 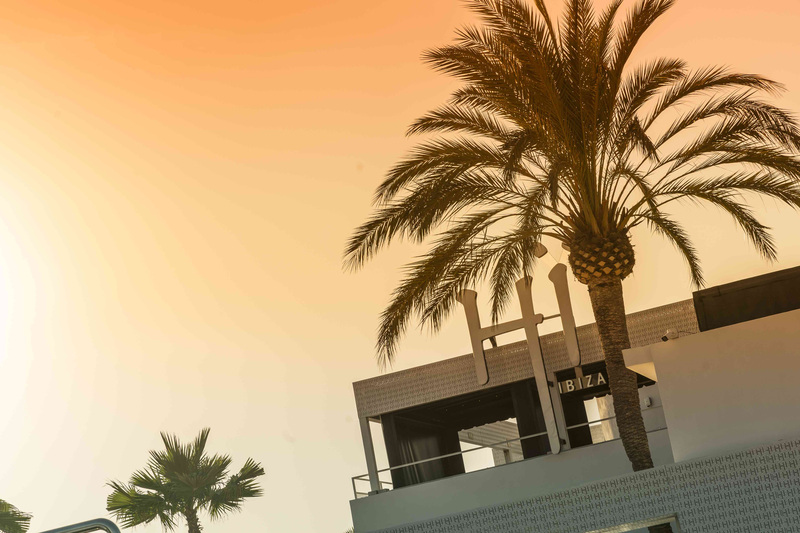 Hï Ibiza has got off to a sizzling start this season, pulling in crowds from all around the globe week after week to see some of the world’s biggest DJs and cutting-edge underground acts perform. With world-class residents, state-of-the-art design and sound and a commitment to putting the clubber at the centre of the experience, the groundbreaking club is proving itself a force to be reckoned with. Anticipation was high for the official opening party of Afterlife on Thursday 28th June with Tale of Us, Dixon, Maceo Plex and more all lined up to play. Watch the recap here. Eric Prydz began year 2 of his Hï Ibiza residency with a huge opening party on 6th July and has been packing out the Theatre each and every Tuesday with moments like this. Over in the Club room, July saw one of Hï Ibiza’s most iconic moments when residents Solardo played B2B with the one and only David Guetta who surprised the crowd with an unannounced performance. Saturday night house hero Black Coffee entertained the crowds with an ‘all night long’ set on 14th July, taking dancefloor revellers on a mesmeric musical journey. Watch him in action at the club here. And as if that wasn’t enough, August looks set to raise the temperature even higher with more stellar line-ups and unmissable moments in store. Hip hop continues to take centre stage on Mondays with new residency GangStar. Envisioned and brought to life by The Night League and Cathy Guetta, acts lined up for August include DJ Charlesy, GLOWINTHEDARK, Lady S and Ale Zuber. As always, host Cathy Guetta brings the party vibes, plus watch out for a special performance from Tyga on 13th August! Theatre residents Eric Prydz, CamelPhat and Cristoph will continue to shake things up across August, bringing more of the same breathtaking sets we’ve seen so far, plus Tuesday 7 August will see the legendary Deadmau5 join Prydz for what is sure to be one of the most sought after tickets of the season. Meanwhile, Club Solardo will play host to unmissable acts including Mason Maynard, ANOTR and Horatio & Huxley as well as some more unannounced guests! With its explosive soundtrack, supersized production and immersive visuals, Armin van Buuren‘s Tuesday night residency continues to captivate clubbers throughout the summer. Watch out for two very special shows this month, including August 1st, when Armin will play a solo set and August 15th, when Above & Beyond will take the reins for an exclusive headline performance. Joining house innovators Sunnery James & Ryan Marciano in the club room this month are Marciano, Mark Knight, Sam Feldt and more. This year’s Afterlife line-up has been carefully curated into a singular musical journey, encompassing the melodic dancefloor sound Tale Of Us are best known for as well as more experimental and darker techno. The August program sees Tale of Us joined by acts including Âme (16th August), Ben Klock (30th August), Carl Craig (16th August), Jamie Jones (23rd August) and Mano Le Tough (2nd August). Fridays at Hï Ibiza never disappoint and August’s line-up for Glitterbox will be no different. Lined-up this month are residents Basement Jaxx, Dimitri from Paris and Roger Sanchez along with a whole host of guests including house royalty Masters at Work (10 August), dance veteran Armand Van Helden (24 August), Nightmares on Wax (24 August) and Claptone (17 August). Black Coffee’s residency continues to rule Saturdays, with the main man serving up intoxicating house rhythms, whilst guests bring their A game. August 4th sees Radio 1 tastemaker Benji B play back to back with fashion designer Virgil Abloh and the month ahead brings sets from Honey Dijon (11 August), Guy Gerber (25 August), Birds of Mind (18 August) and many more. Meanwhile Housekeeping welcome Secondcity, Da Capo, Lauren Lane and more to the Club room. As the island’s longest running UK club night, Cream continues to be a must-visit party, delivering some of the biggest names in dance music, mind blowing production, a devoted crowd, and an unbeatable atmosphere. August brings sets from Afrojack, Dimitri Vegas & Like Mike, Hardwell, Nervo, Oliver Heldens and Steve Angello in the Theatre, while Club room resident Jonas Blue welcomes guests Carly Foxx, EDX, Throttle and more.